Worldwide, the engineering industry is seeing a significant shift in the way that products are designed and manufactured. Less time is being spent on experimental prototypes and less effort is needed to solve the many issues of the creative process. This shift in the industry is dependent on simulation software and the platform technology that they run on, and companies like Dassault Systèmes that create these platforms are not only changing today’s industry, but also that of tomorrow. Cloud-based platform technologies allow employees across a company to interact and problem-solve in real time using the same data and the same software. With all the inputs and the results stored in the cloud, time and space are no longer limitations for companies in the 21st century. And as this technology continues to advance, sensors and machine learning will allow for many of the day-to-day processes to be fully automated. Companies making the shift to these platform technologies include industry leaders worldwide, like tech company Kärcher. 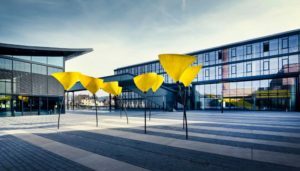 World leader in cleaning technology, Kärcher recently adopted Dassault Systèmes 3DEXPERIENCE platform as it seeks to transform digitally its existing processes—improving product development and decreasing production costs. 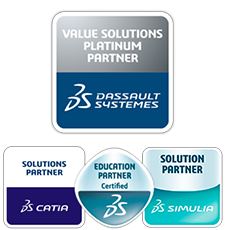 While the simulation software available on the 3DEXPERIENCE platform allows for improved engineering capabilities, the technology is useful for every facet of the company, from product development to manufacturing and sales. Acknowledging the growing need of the industry to go digital and become software-savvy, Kärcher has become a beacon for innovation and transformation that is aided by platform technology. Now, only months after transitioning to this technology, Kärcher has the capability for up to 1,200 employees to collaborate in its product development processes—both streamlining problem-solving and bolstering knowledge sharing company-wide. And what’s more? Like Kärcher, companies making the early transition to this platform technology are proving that any company can benefit from it, regardless of their size. “Successful industrial equipment companies must be able to define and manufacture quality products tailored to customer preferences and service them anywhere in the world at record speed, despite growing market competition, complexity and costs,” says Philippe Bartissol, Vice President of Industrial Equipment Industry at Dassault Systèmes. 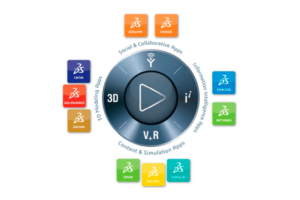 Now, other industries are seeking custom solutions based on the 3DEXPERIENCE platform, and the diverse possibilities are virtually limitless. Is your company ready to make the transition?